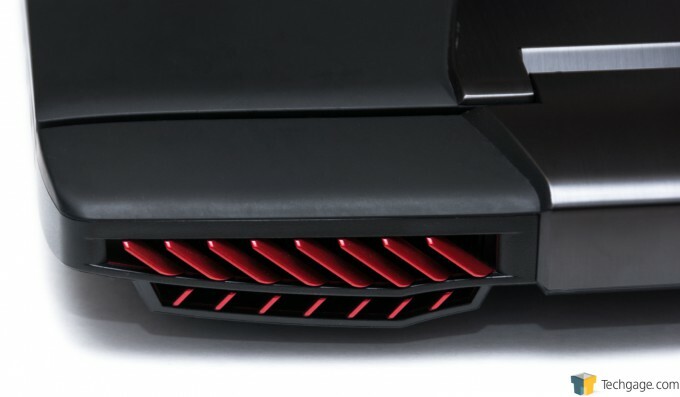 There are gaming laptops, and then there are uncompromising gaming laptops. ASUS’ ROG G751JY falls into the latter category for a number of different reasons, with a great one being that it packs some seriously powerful hardware under its hood. How does a 1GB/s SSD sound? 24GB of RAM? GTX 980M? Exactly. Read on! 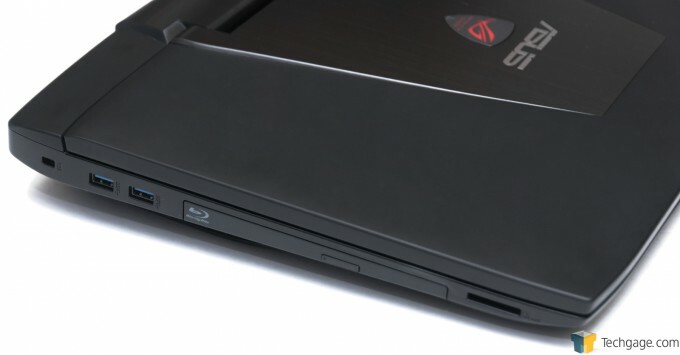 To call ASUS’ G751 a mere “gaming notebook” seems like a disservice. It’s just so much more – a full-on desktop replacement that excels at gaming. In fact, with its brawny hardware, it’s bound to be faster than the desktops most people reading this will own. 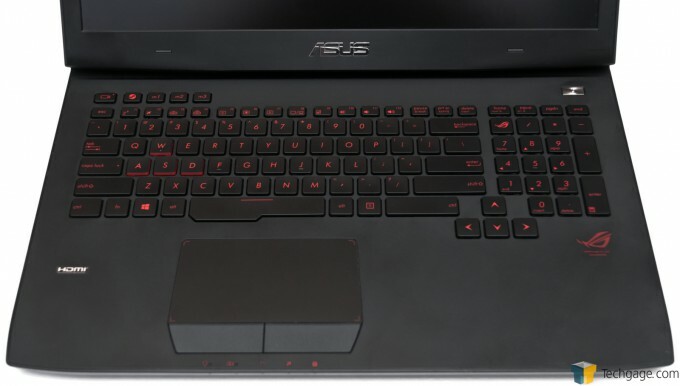 To be more specific, I’m talking about the G751JY, the model that slots into the middle of ASUS’ G751 line-up. At $2,250, it’s clear from the get-go that this gaming notebook means business, but I could make it even clearer with a couple of quick buzzwords: “24GB of RAM”, “NVIDIA GTX 980M”, and “1GB/s SSD”. Yup – this thing is a monster. 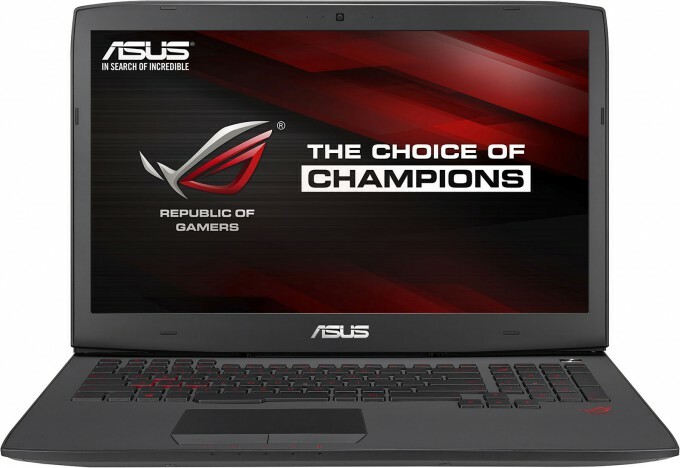 ASUS’ G751 models range from $1,500 to $2,800, and I feel that those wanting to get to get the “full package” would do well with this $2,250 variant. Another good consideration would be the $1,500 model; it drops the GPU to 970M, has 16GB of RAM, loses the M.2 SSD, and includes a standard DVD-RW drive in lieu of a BD-RE. 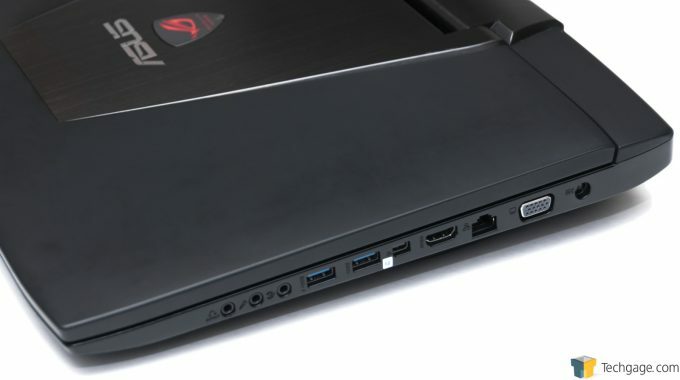 All G751 notebooks feature the same chassis design as the G751JY I’m looking at here, in addition to special game-related keys, and also the bright 1080p display. In case I somehow failed to spell it out above: ASUS’ G751 is one hell of a powerful notebook. It sports so much high-end hardware, I’m not even sure where to begin. Let’s start with the CPU: Intel Core i7-4710HQ, a quad-core offering that supports HyperThreading. For graphics duties, we have NVIDIA’s GeForce GTX 980M, and for our volatile memory needs, there’s 24GB of DDR3-1600. Also worth noting is the inclusion of Samsung’s XP941 M.2 PCIe-based SSD, one that’s at least twice as fast as standard SATA-based SSDs (~1.1GB/s read, ~800MB/s write). That super-fast I/O makes a big difference for those with heavier workloads – it’s fast enough where a Windows virtual machine I ran on the notebook felt like it was running at native OS speeds. I’ll let the table speak for itself. As far as notebooks go, the G751 is a relative tank. It weighs 10.58lbs, so prepare to break a sweat when bringing it from point A to B. I took this notebook to NVIDIA’s GTC last month, and while I appreciated having its power and big screen at the hotel, it wasn’t fun lugging it through multiple airports. However, one TSA agent did tell me that it “looked awesome”, so there’s that. The notebook’s exhausts are unsurprisingly large, with a major benefit of that being that it won’t sound like a jet engine while it’s being stressed hard. At full-tilt, using audio of a decent level should drown out the fan noise completely. Being such a large notebook, there’s no feeling of crampedness when typing away on the keyboard. I am about as fussy as they come where notebook keyboards are concerned, but overall, this one was quite nice to work with. The touchpad is also good to the touch, but the left and right buttons leave a bit to be desired – they feel mushy, and are not that satisfying to push. There’s more that makes the G751 special than just its beefier hardware. 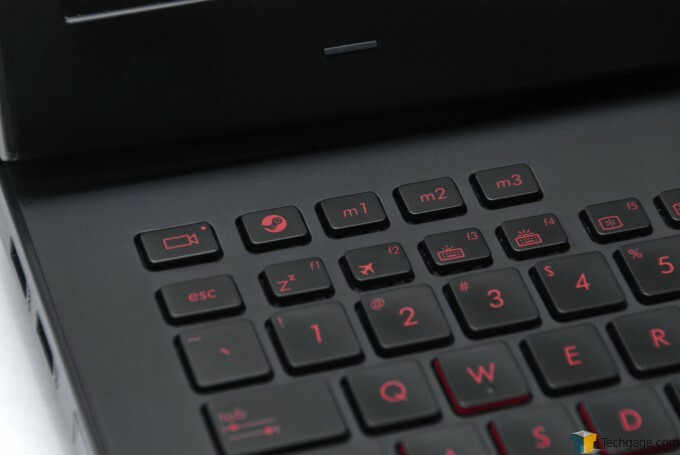 At the top of the keyboard are five buttons related to gaming, with three of them involving built-in macros. At the absolute left is a camera which ties into NVIDIA’s ShadowPlay to record your gaming. The idea is that once it’s set up, all you have to do is tap this button while in-game to record, and then tap it again to stop. While you can do this quite easily with regular keyboard shortcuts, this button takes the hassle out of remembering what those keyboard shortcuts are. Next to the camera key is one that sports a familiar logo: Steam. Hitting this will launch Steam in Big Picture mode, in case you just want to kick back and take advantage of that interface. Unfortunately, neither the recording or Steam key can be reconfigured. At the left side of the GT751, and from left to right, is a Kensington lock, dual USB 3.0 ports, the Blu-ray re-writer, and SD card reader. On the right side, again from left to right, are three audio jacks (output, mic-input, and line-input), dual USB 3.0 ports, a mini-DisplayPort, HDMI, LAN, VGA, and the AC power. There’s not too much that can be said that isn’t obvious: the G751 is a tank. It’s well-built, well-designed, and looks good, to boot. If only we could get the performance it offers without it needing to weigh 10lbs! We’ve established that the G751’s hardware and design is good, so now it’s time to find out if that carries on through to the software. Like the ROG G20 PC I took a look at a couple of months ago, the Windows 8.1 desktop is kept nice and clean, with only a single desktop icon in the G751’s case. The same pinkish hue theme once again makes a return, and the amount of bundled software is moderate. The following shots will show you exactly what software is included with the G751, and also how the Start Screen is configured. There are many Windows 8 tiles applied to this screen, as well as a handful of third-party apps – Netflix, Zinio, Line, WildTangent Games, Microsoft Office, and Music Maker Jam. The Start Screen doesn’t reveal all of the bundled software, though; so for that we’ll rely on the ‘Installed Applications’ section of the Control Panel. In addition to all of the apps mentioned so far, and also some ASUS-specific ones seen in the shot above, the G751 bundles in McAfee Internet Security and CyberLink MediaStory. Any time I see security software like McAfee installed, I cringe. I wouldn’t mind seeing it so much if it were offered at the first boot, but pre-installed, it’s just a nuisance. This especially rang true with the G751, as after setting it up, I couldn’t access my network shares. It took me a solid ten minutes to realize that it was because McAfee was interfering. A small issue, but an issue I could have done without. Before moving on, let’s take a look at the available disk space. As mentioned in the hardware section, this particular G751 includes a 256GB Samsung M.2 SSD as well as a 1TB hard drive. ASUS splits both of these into two parts, with the second part of the SSD being given slightly more free space than the primary – a preferred design, I feel, if it must be split at all. If space becomes limited on this SSD after a while, it’s important to realize that Windows hogs some of what’s available with its pagefile and hibernation. Thanks to the large amount of RAM this G751 has, hibernation will use ~20GB of the SSD’s space, whereas the pagefile will use ~25GB. It goes without saying that 45GB of a 256GB SSD is a massive chunk, so I’d recommend considering your options to free up that wasted space. As covered in our “Disabling Windows Pagefile & Hibernation to Reclaim SSD Space” article, hibernation – if it’s not going to be used – can be disabled by opening a command prompt as Administrator and typing in “powercfg -h off” without quotes. The pagefile is a little more complicated to deal with. With 24GB of RAM at-the-ready, it means that it’d take some serious circumstance to require a pagefile at all. So I’d recommend moving the pagefile to the hard drive, via the instructions mentioned in the above-linked article. Alternatively, you could keep the pagefile on the SSD, but configure it so that it uses only 16MB until it’s required. ASUS bundles two pieces of ROG-specific software with its G751, including Gaming Center and MacroKey. Gaming Center is a simple full-screen app that displays the current time, RAM and storage usage, and provides a couple of links to certain configurator tools. I admit that I’m not really sure what the point of an app like this is – it’d be great as a screensaver, but to imagine someone going out of their way to run it, other than to just check it out? I feel like I’m missing something. Yes, that really does say “Republic of Game” and “MarcoKey”. MacroKey does a great job of explaining itself. With it, you can create macros with up to 256 individual keypresses (which includes depresses), and then apply them to a specific key and then a profile. 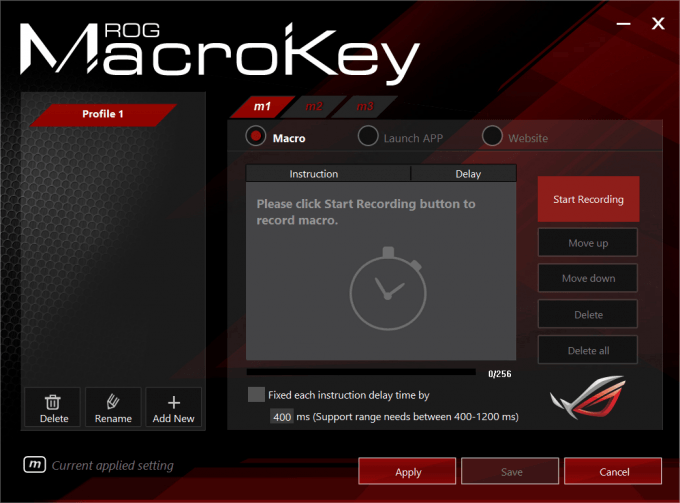 While gaming, you can hit the M1, M2, or M3 key to choose the profile, and then use the key combination you programmed in to execute a given macro. While it’s not ASUS’ software, I can’t wrap this up without mentioning the value NVIDIA’s ShadowPlay and GeForce Experience can add to a gaming notebook. As covered earlier, the G751 has a special button that ties in with ShadowPlay to begin recording your game. On the first press, you’ll have to set up some configuration options, and then from that point forward, you’ll be able to push the key whenever you want in-game to begin recording, and then hit it again to stop. Need proof of how well that works? No problem. Below is a 60 FPS video that shows video recorded from Borderlands: The Pre-Sequel, Sleeping Dogs: Definitive Edition, and Shadow Warrior at the notebook’s native resolution of 1080p. With the help of Fraps, a framerate counter is displayed in the top-right corner of the screen, to help you understand exactly what the performance was like at any given point. You’ll notice that despite all three of the games having good graphical detail, the framerate never dipped below 60 FPS – with the one exception of BL: TPS in areas where PhysX kicked into gear. 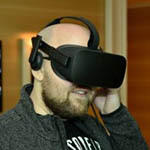 The reason I encourage use of GeForce Experience is because generally speaking, you never have to tweak for optimum performance on a desktop like you do on a notebook. Thus, GFE is a great way to get a reliable profile applied to a game before you get down to business. In some cases, I actually found that NVIDIA’s settings were not as aggressive as I would have liked, so in some cases you may find yourself being able to increase the detail levels further after optimizing through GFE. With hardware and software taken care of, it’s time to get into some game benchmarking. Because the G751JY has such a powerful GPU behind a modest 1080p display, I prepared “Best Playable” results for both its native 1080p display as well as an external 1440p one. Let’s jump right in.